I know most of us have already screwed up our new year resolutions. If you haven’t three cheers to you 🙂 My two resolutions were to gain some weight and travel a lot more. Lets just say I have managed to loose a few pounds and have not even stepped into my balcony. So ya, I have failed big time. Lets talk about the good things that I have discovered and come to love this new year. Here are my January Favourites. This Body wash is simply divine. 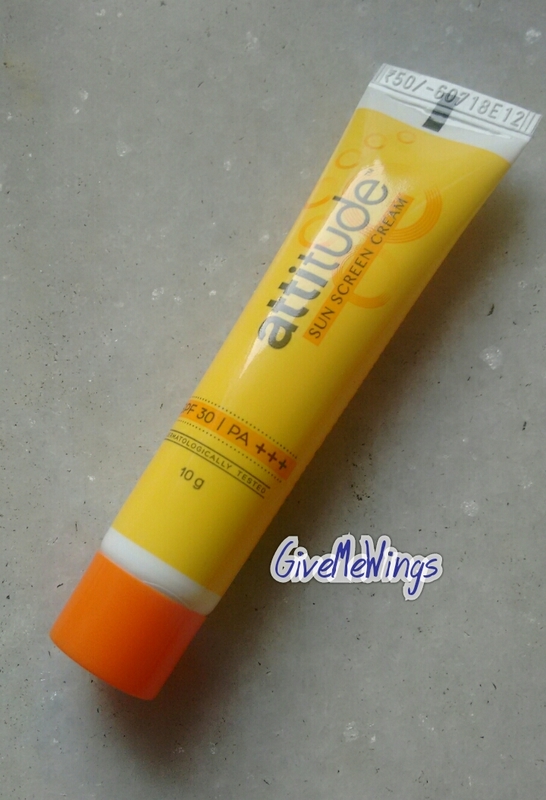 It contains Shea Butter, Vitamin C and Aloe Vera. It provides luxuriously rich lather. This amazing product from Bath and Body works leaves my skin feeling irresistably soft and beautifully fragranced. This is my favourite toner so far. It is alcohol free toner with shots of vitamin E protection. It is a clear, odorless liquid and is suitable for all skin types. The bottle is of 200 ml and will last you for a good 4-5 months. They are a great buy as they are super stylish and super comfy. I am that person who would not walk out of her house without an eyeliner on. Hell, I sometimes apply dramatic cat eye liner and roll at home in my pajamas. But coloured eyeliners was a territory I was always afraid to step in. This Electric blue eyeliner has stolen my heart. I love it to bits. The formula is so nice that I ended up picking up the same eyeliner in 2 more shades. Looking forward to try them on. Colourpop is a brand that you will totally get addicted to. I bought quite a few products from colourpop and after using them I am hooked to their website. This Super Shock Cheeks blush is a light pink shade with orange undertones. Its perfect for fair skin tone. From the name of the product (Never Been Kissed) to the packaging everything is just so quirky, fun and addictive. Its a no brainer that another colourpop product has made it to my favourites list. 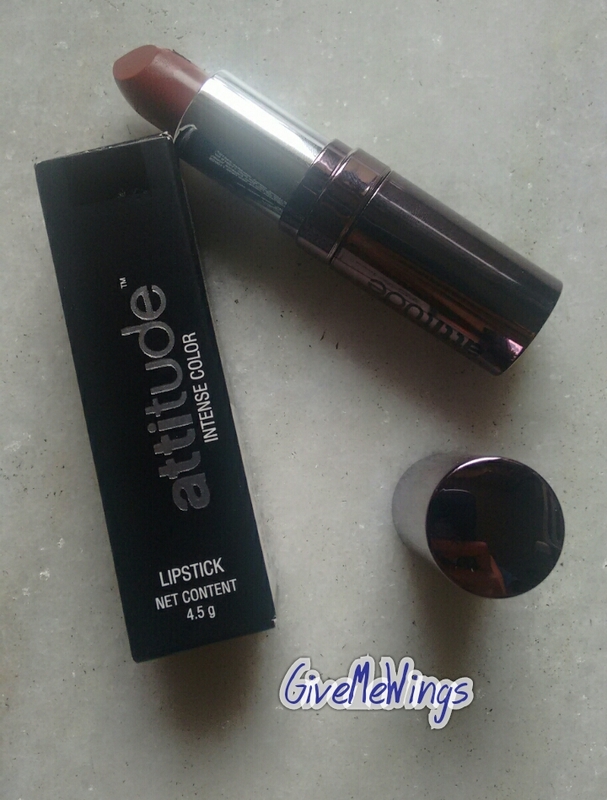 This matte lip stick is dark purple in colour, Matte in finish and looks gorgeous. I find the Lippie stix by colourpop to be the greatest idea ever. The packaging is just so perfect. The design of the bullet is on point (I can apply the lipstick without a mirror). Its time for the snacks. Sleeping and munching are two things I do the best. I am so good at these two activities that instead of calling them hobbies I consider them my talents. I work late into the night and was always snacking on unhealthy but very tasty stuff like potato chips, chocolates, ice creams and Cheetos. I bought this packet of dehydrated nuts and fruits to start snacking healthy and I am hooked. That is all with my favourite stuff from the month of January. I urge you to try each and every product in this list as I guarantee you will love them. If you have tried any of these products do let me know your experience in the comments below. Also don’t forget to like and follow my blog. I will see you soon with some more fun stuff. Until then, Stay healthy and stay stylish. I have tried many Biotique products and have absolutely loved them. So, when I found myself looking for a new toner to try I had to go for this one. I just started noticing fine lines and wrinkles around my eyes. 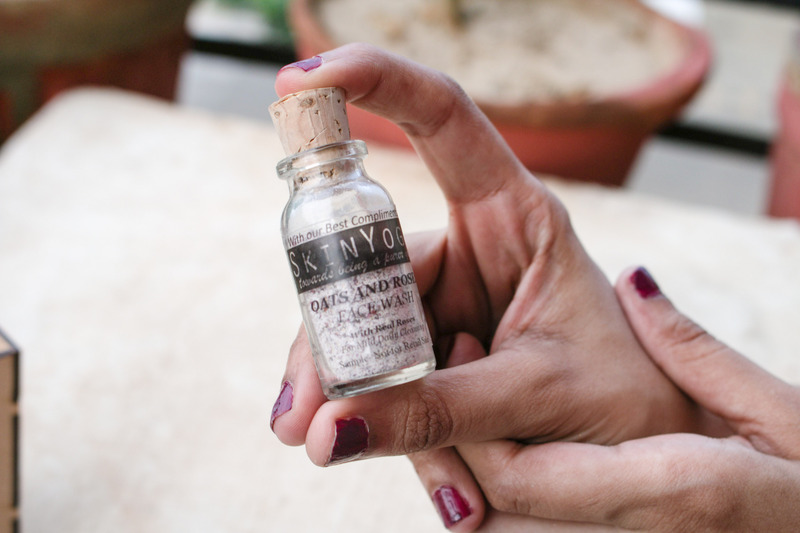 Ageing is such a sensitive issue and I wanted to feel safe with a natural and ayurvedic product. 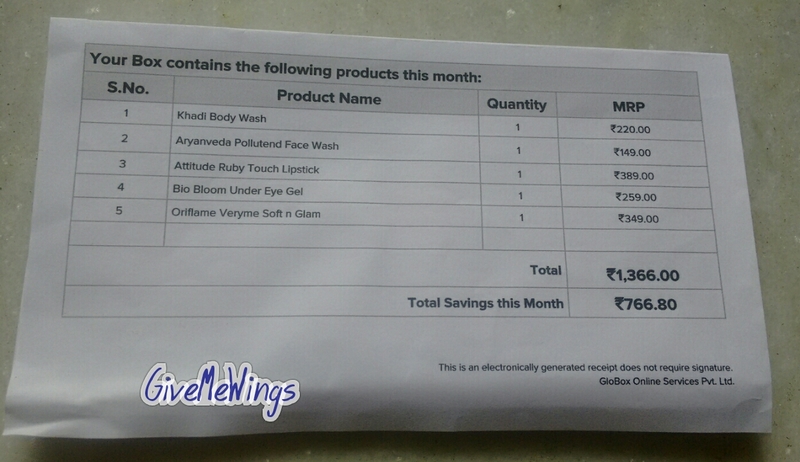 Having tried Aryanveda products earlier I was quick to add this product to my cart. This eyeliner was not on sale but I had to have it. 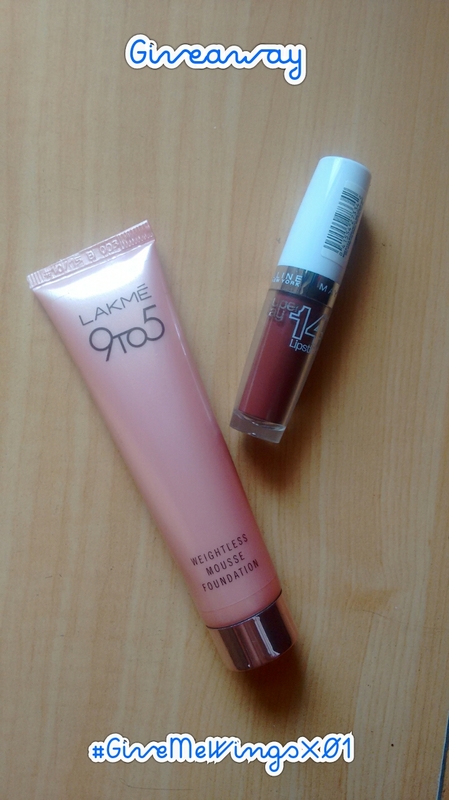 This is a new launch by Nykaa and I have been dying to try it out. I will soon be publishing a first impression post on it. Blackheads are one of my major skin issues. I just pick up everything that can help me get rid of them. I hope this toner will reduce my worries. Looking forward to trying it out. How could I have not ordered any makeup 🙂 I wanted these shades for a new look that I had in mind so I went ahead and bought it, not worrying about it not being on discount. This was a necessity. I had run out of my makeup setting spray a few weeks ago and with the party season right around the corner I knew I really really needed one. Primer is a the first step of makeup application so I had to get it. Also this deal on the Colorbar Perfect Match Primer seemed irresistible. Winter is here and we all get lazy with washing our hair during these cold climatic conditions. I bought this dry shampoo combo because of the amazing deal and its travel size bottle is all I need for this holiday season. Ya, this amazing lipstick is free with my order. 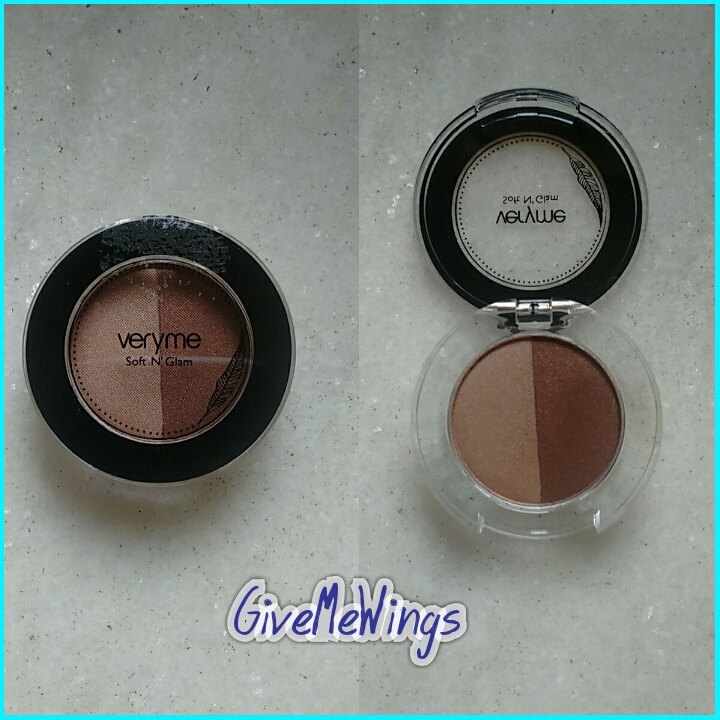 I love its formulation, shade and its sleek packaging. That is all!! I did forget to order some more things and will be placing another order soon. Let me know in the comments if you want me to review any of the products mentioned in this post. Don’t forget to subscribe to my blog and follow me on instagram and facebook. I love keeping in touch with you guys. Happy Holidays and Merry Christmas everyone!! There is something about Sugar cosmetics, as soon as they launch a product I just have to go ahead and try it. They started out with their lip crayons and have not disappointed me so far. Just a few months ago SUGAR cosmetics launched their eye makeup range. I had heard a great deal about their heavy duty kohl, but I don’t believe anything till I have tried it myself. So, here is my experience with the SUGAR cosmetics Stroke of Genius Heavy Duty Kohl 01 Back To Black. It’s a waterproof kohl pencil with intense black colour and soft creamy formulation. Its wax-based formula spreads evenly and lasts for up to 8 hours. It is free of mineral oil, paraffin, preservatives, volatile cyclomethicones (D4, D5, D6) and animal derived ingredients. Gently rim your lower and upper lash lines with this creamy Kohl. Open your eyes wide for precise application. Rs 499/- for 1.2 g and it comes with a free sharpener. I will start by saying that I am really enjoying using this kohl. It comes in an attractive and fun cardboard packaging. There is a sharper to sharpen the tip as and when required. The tip is good for 4-5 uses before you having to sharpen it. It is super pigmented. A single swipe gives you deep black colour. The formula is very soft and creamy. The smoothness of this kohl is unbelievable. It stays on for good 6-7 hours. It is waterproof and you need a good quantity of makeup remover to remove it. Although, it is not smudge-proof as claimed by the brand. It starts to smudge at the corners of your eyes after 2 hours. Would I suggest it to others? Definitely!! If you are looking for a long lasting, creamy and dark black kohl, this product is your dream come true. If You have tried this kohl,do let me know your thoughts on it in the comments below. Also don’t forget to like this post and subscribe to my blog. Follow me on Facebook and Instagram to stay updated. Jaquline USA is a brand that excel in their nail care range and nail paints. Recently Jaquline USA just launched a great range of products in India. They are available online on http://www.newu.in and NewU stores all over the country. In India we have a wide care of nail decor things but nail care is largely neglected, therefore its exciting to see that finally we will have a great range of affordable nail care products to explore. The various products include nail growth oil, instant nail hardener, complete nail treatment, insta-dry polish, double use- top and base coat, peel off glitter base, nail nutrition, nail strengthener, ridge filler and bright look. In this post I will be talking about two of the products:- Double use-Top & Base Coat and Peel off glitter base. Nail Surface is shielded with a smooth coating that grips nail color for longer lasting results. Nail plate is protected from yellowing and stains. Nail color is locked in a mirror shield that leverages gloss to an opulent level. Manicure wear is prolonged and efficiently protected against chipping. The color is refreshed , boosted and preserved over time. As a Base coat– Apply a coat of a the product on your bare nails just before applying the nail paint. This protects staining of your nails and helps the nail paint last longer. As a Top Coat– Apply a coat of the clear plasticizer over your dried nail paint for longer lasting effect of the nail paint and a glossy finish to your nail paint. Instantly removes glitter nail polish without the mess of acetone removal. 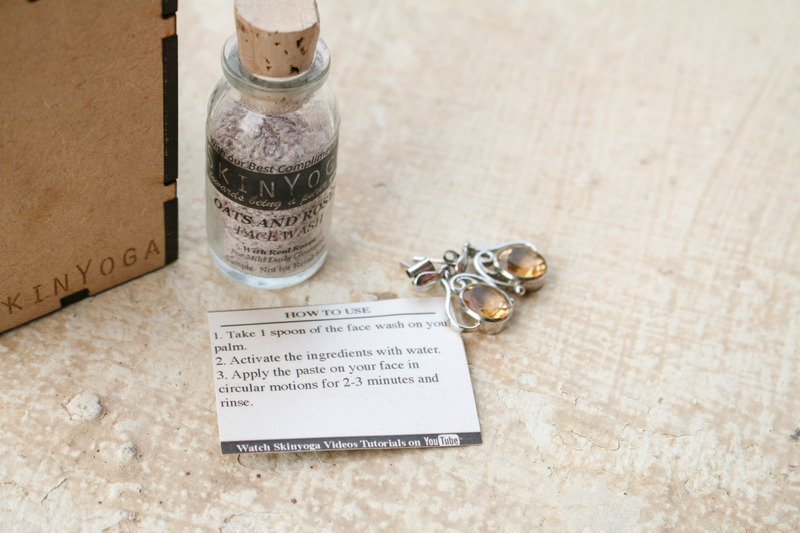 Allows frequent glitter changes, so perfect for party time or special occasions. Nails are efficiently protected against staining and yellowing due to pigments discoloration. Apply two coats of peel – off base on bare nails. Let dry for about 10 minutes until the film becomes transparent. Apply your favourite glitter nail polish on top. To remove, just peel it off. I am a huge fan of glitter, but glitter nail paints can be tricky. They are hard to remove and even when they do come out, they leave my nails feeling rough and weird. This product is an absolute brilliant idea. Its great when I go out partying on the weekends with my glitter nail paint and on Mondays I just have to peel it off to get ready for work. In conclusion I am glad Jaquiline USA along with NewU Dabur thought of bringing an affordable range of nail care products to India. I am very impressed with these Jaquiline USA nail care products and will surely be trying the rest of the nail care products in their range soon. 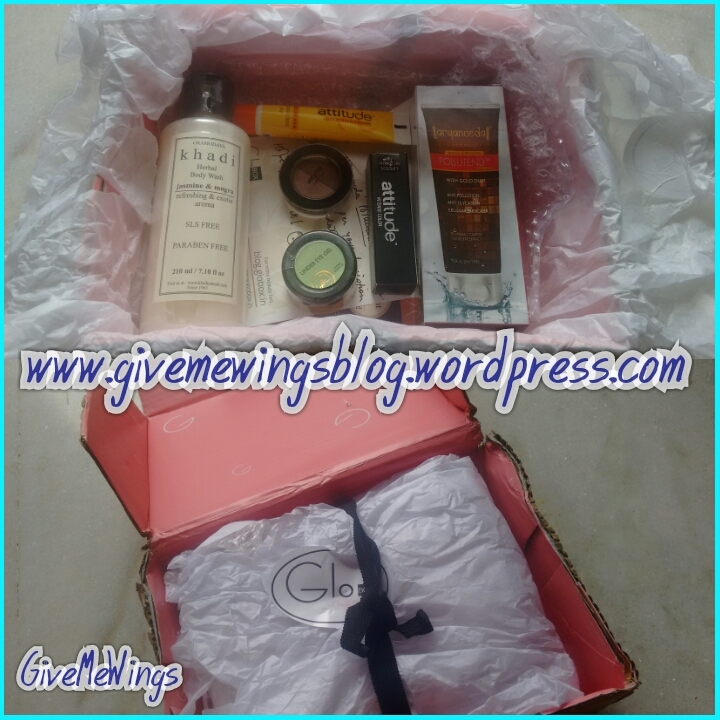 I received my August,2016 GloBox in the first week of August but I’ve been unwell so I’m sorry for the late review. 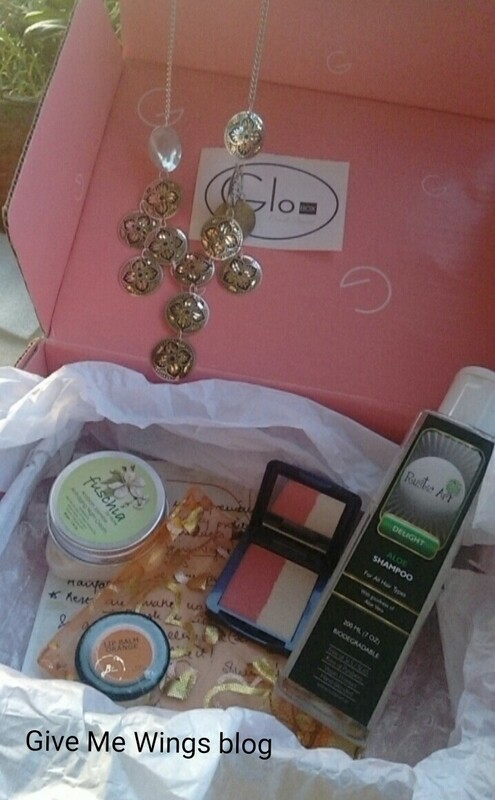 GloBox is a beauty subscription service which provides monthly boxes full of beauty and makeup products. It was launched in India in June, 2016. All you have to do is log on to their website, choose your subscription pack and then fill out your skin profile. The expert chooses the products according to the profile filled by you!! 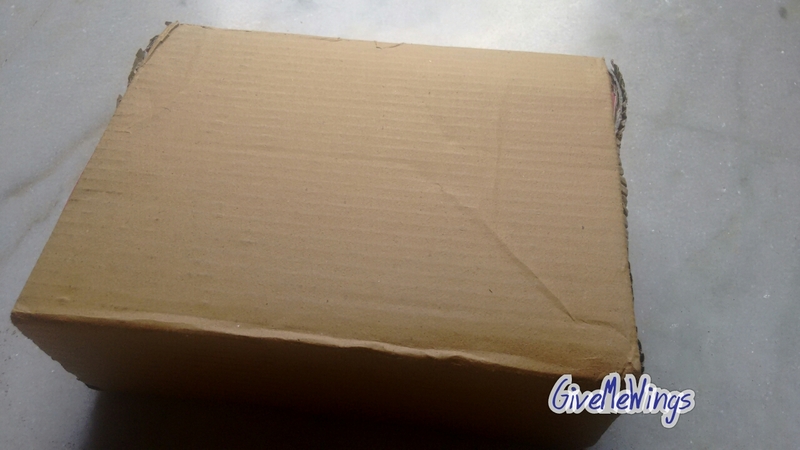 The box itself is a plain brown cardboard box from the outside. Inside it is of a baby pink color with GloBox printed all over it in white. The products are nicely packed in bubble wrap to prevent any damage. Like everytime this month’s box also contains a handwritten note from their beauty expert explaining why she chose those particular products for you. I was very excited for this month’s box as they were mixing up things this month. They included a piece of jewellery and I quite like the coin necklace in my box. 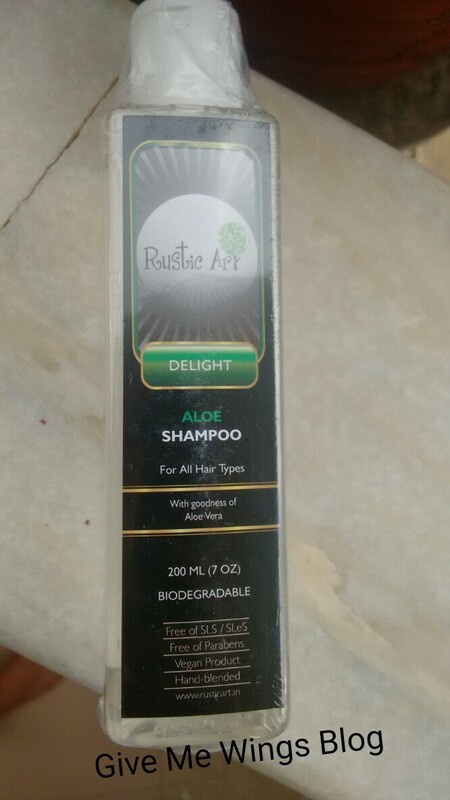 I have been having a lot of hair fall issues this monsoon and was excited to recieve the Rustic Art Aloe Shampoo. 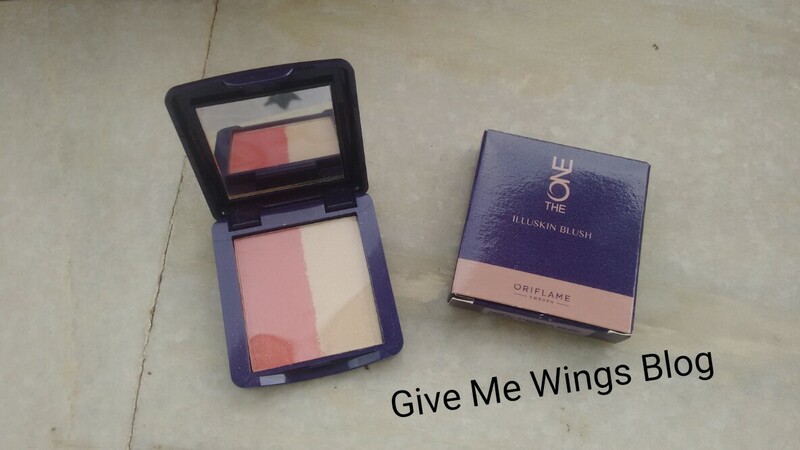 The Oriflame Illuskin Blush is very pigmented and looks amazing. The Fuschia Anti aging night cream smells awful though and I’m scared to get it anywhere near my face. 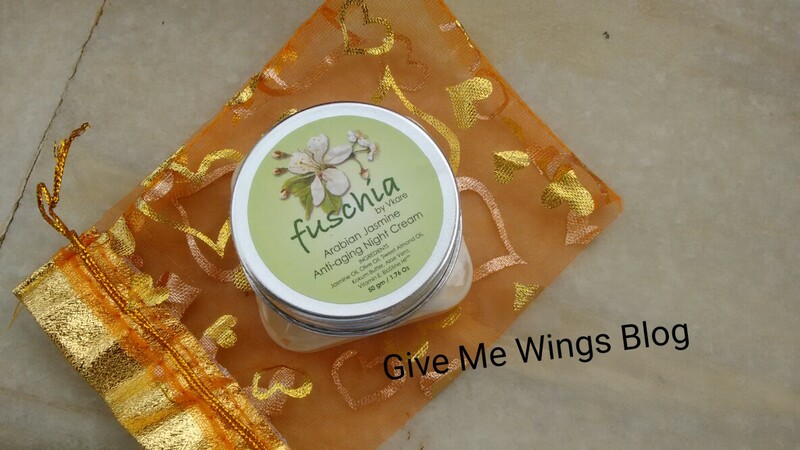 I have used Fuschia products earlier and have really liked them. 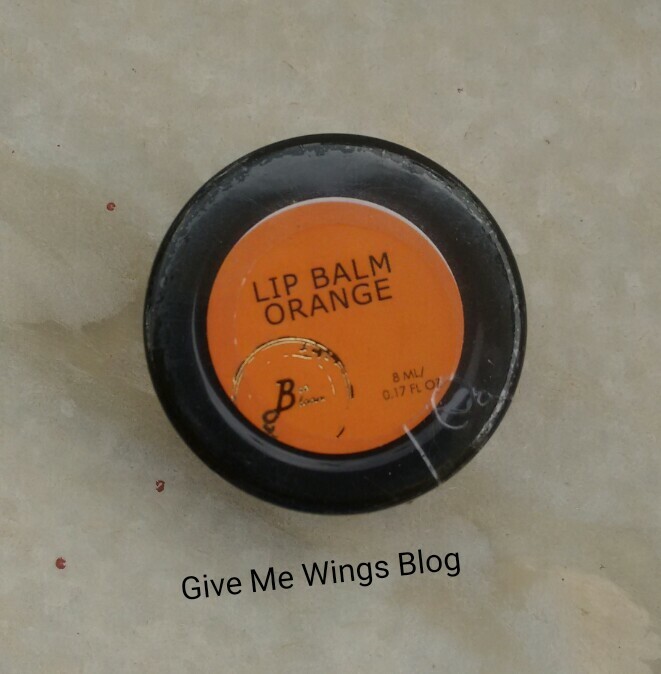 The Biobloom orange lip balm also doesn’t excite me. It feels like a petroleum jelly that only stays on your lips for few minutes. 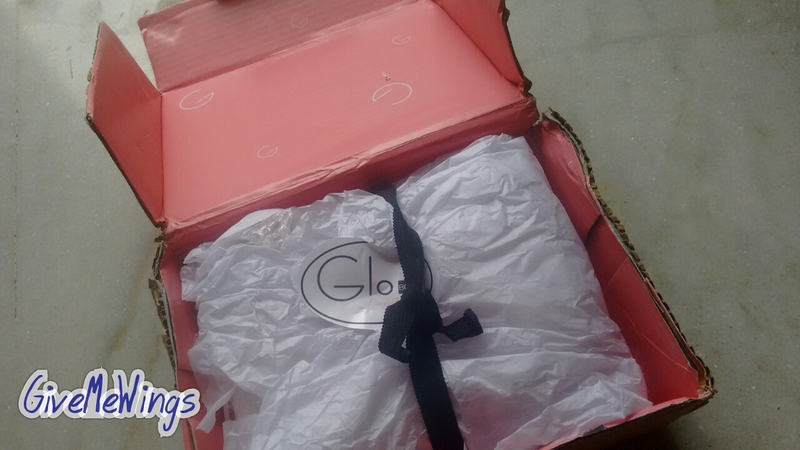 Overall I’m very satisfied with my GloBox subscription service and will definitely renew my subscription. Hope you found my review helpful. If so , don’t forget to follow my blogand leave a comment telling me about your favourite beauty subscription service. See ya lovely people soon with another exciting blog post soon. Summer is here and it’s the festive time!! We all love fashion, music and a mix of all that jazz. I bring to you all the essentials that you need to look fabulous and chill at a summer music festival. It’s summers and the sun is shinning high. I’m sure you girls want to enjoy this season instead of walking partially blinded in the sun. 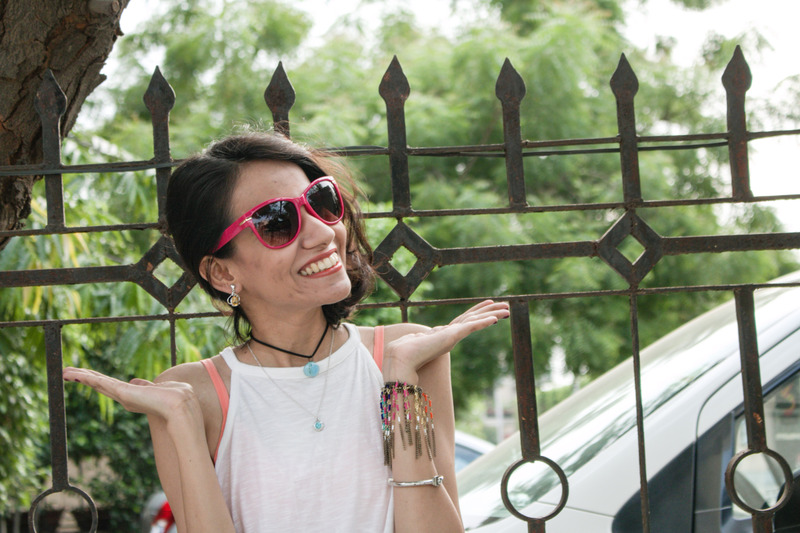 Wear a cool pair of sunglasses preferably a one with bright and colourful frames. They protect you from UV rays and are the coolest accessory available. Hats and caps are the cutest head accessories possible. 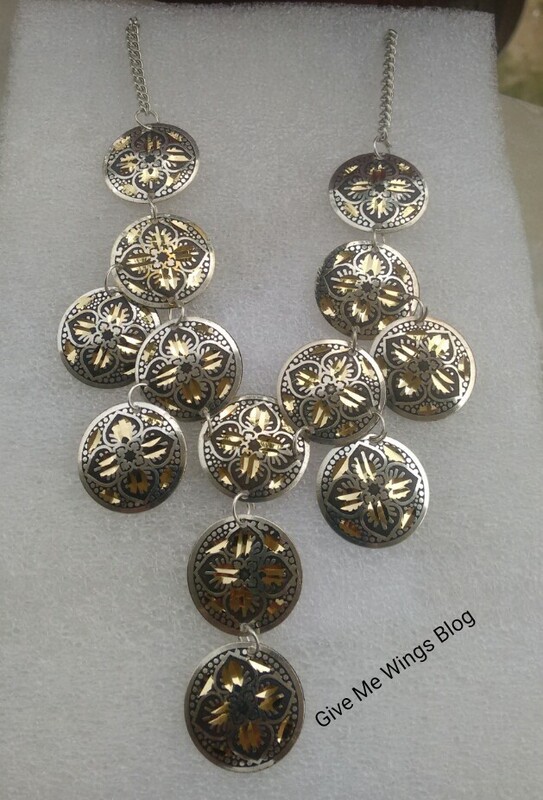 There are a huge variety, designs and colors available to match any possible outfit. It also shields you from the harsh harmful sun rays. 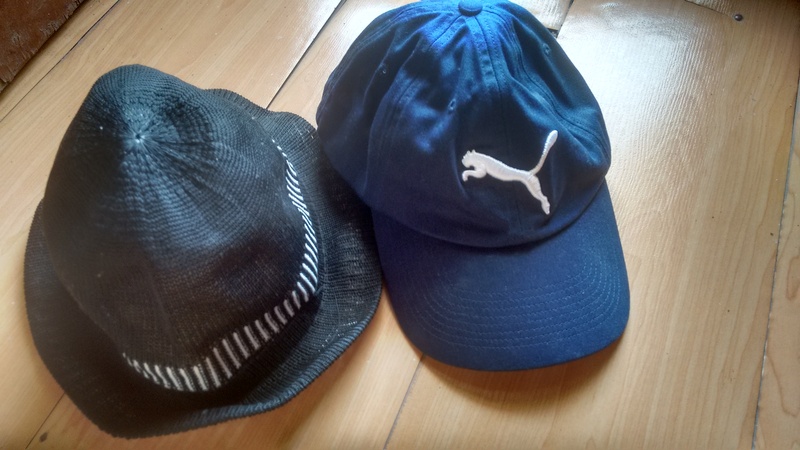 The best accessories for a summer festival are hats and sunglasses as discussed earlier. 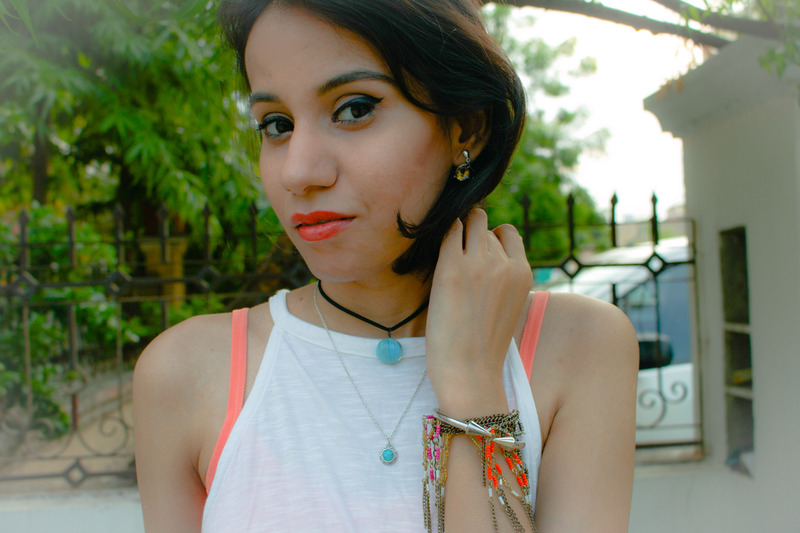 If you are all about accessories go for a bunch of bracelets and a choker. 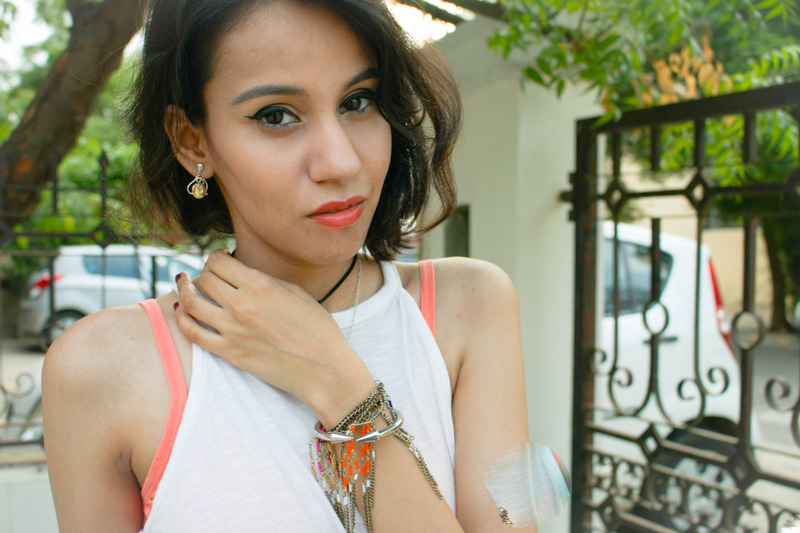 Don’t go for a statement piece of jewellery as it would be hot and not comfortable at all. The temperatures are going to be hitting the roof so it’s the perfect time to pull out those shorts, skirts, backless tops and short dresses. A cute little flowy Bohemian dress would be great for the day. 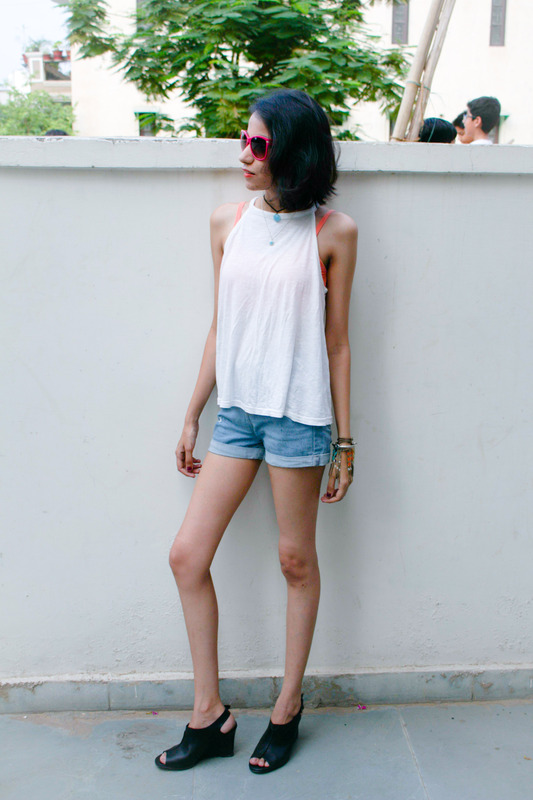 For colors it would be better to go for whites and pastel colors. Don’t go for dark colors as they absorb a lot of heat. Also remember to keep yourself hydrated as this is the only thing that will keep you pumped up the entire day. If you like the blog post don’t forget to comment and like my blog. Disclaimer – All the pictures and content belongs to me and donot use anything without my permission. Follow my blog so you don’t miss out on any future posts. 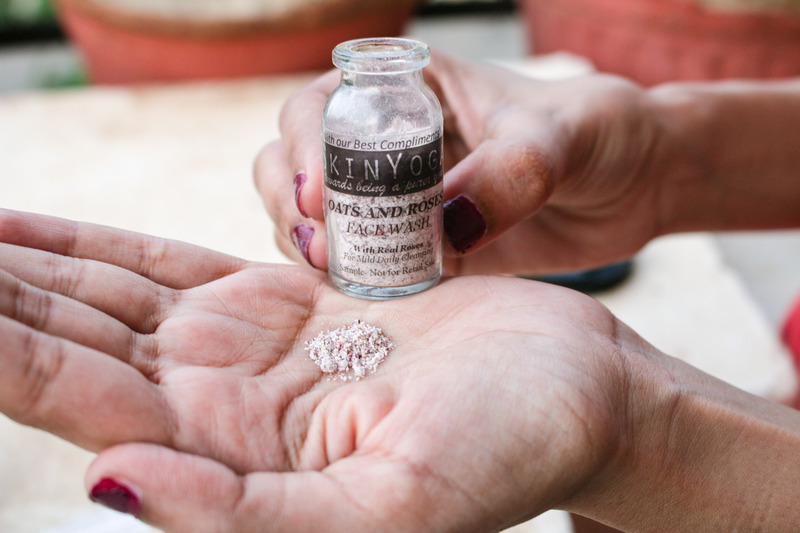 Skin Yoga Oats And Rose Face Wash – Review!! So I just tried a new face wash/scrub and wanted to talk to all of you about it. 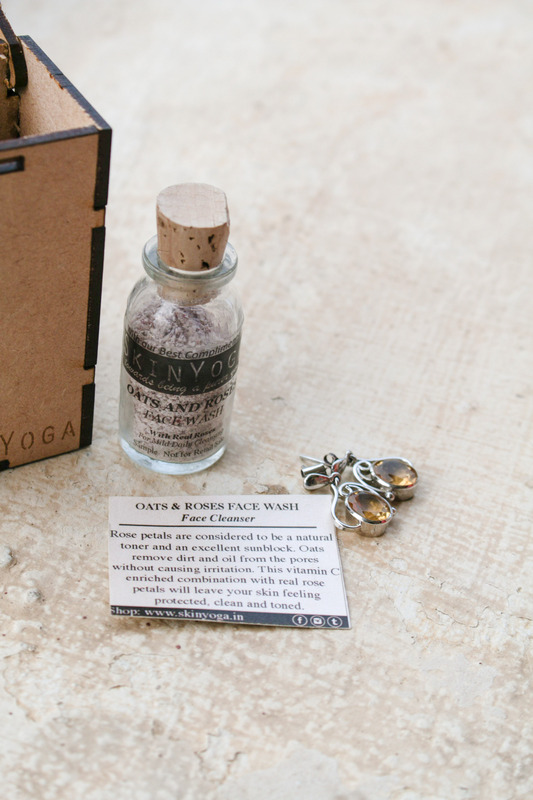 Skin Yoga Oats and rose face wash is a product curated by the brand Skin Yoga. 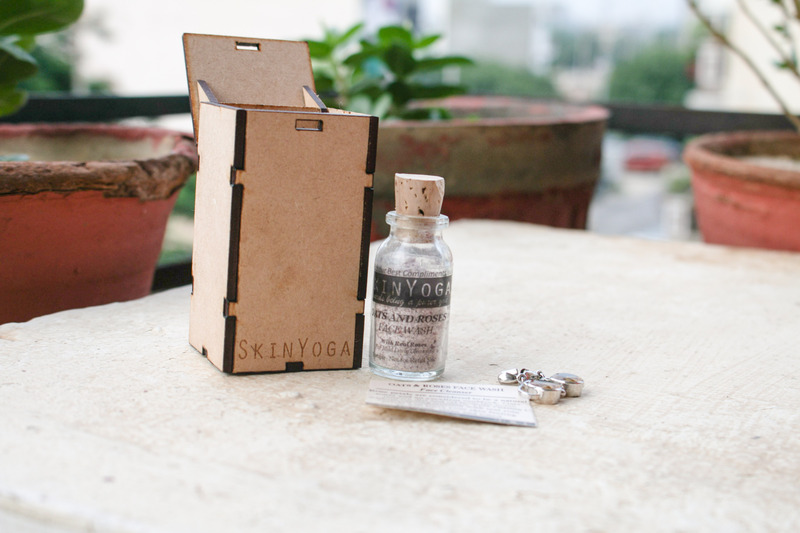 A 100% natural skin care brand, Skin Yoga has been loved by Indians since its launch. 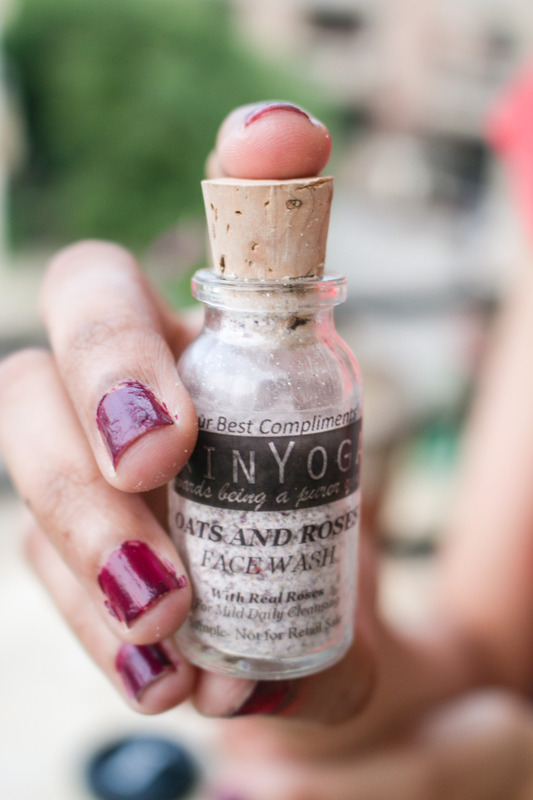 Today I’m going to review their Oats And Rose Face Wash.
Rose petals are considered to be a natural toner and an excellent sunblock. Oats contains natural cleansers that remove dirt and oil from the pores without causing irritation. This Vitamin C enriched combination with real rose petals will leave your skin feeling protected, clean and toned. The packaging is extremely cute. 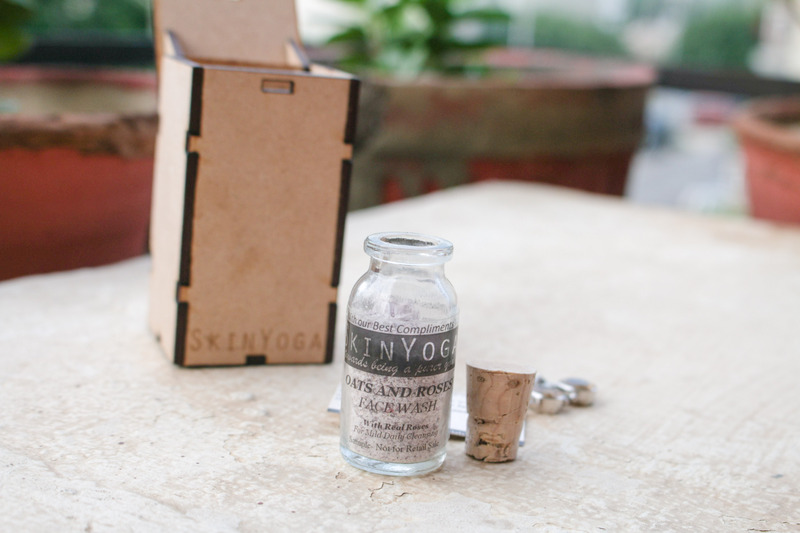 The Skin Yoga Oats and Rose Face Wash comes in a cute tiny glass bottle which is sealed by a cork. 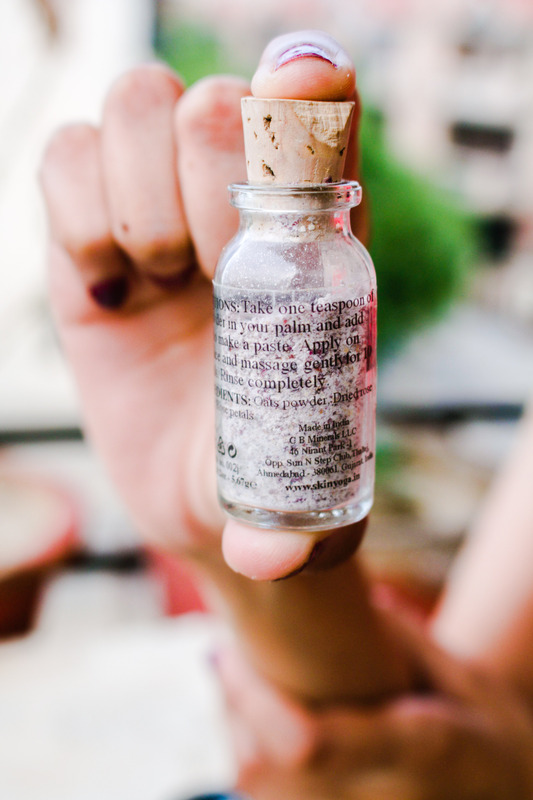 The glass bottle makes it easy to keep track of the quantity of the product. 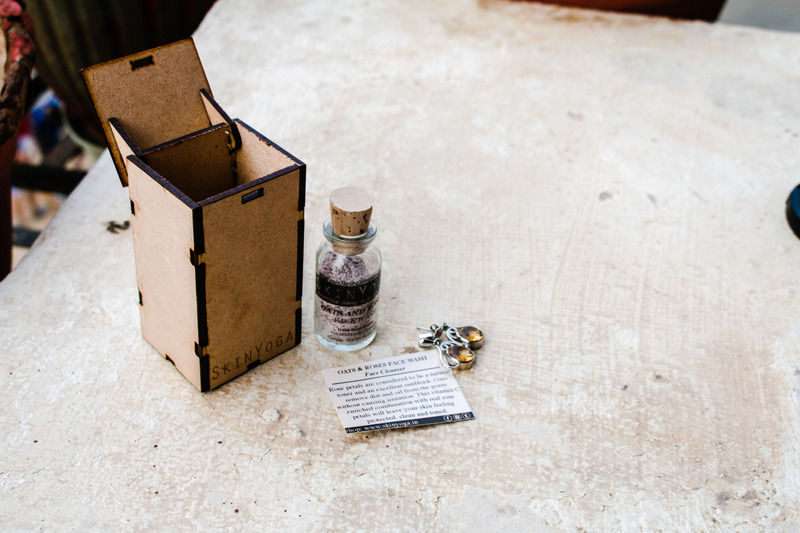 The glass bottle comes is placed in an absolutely adorable wooden box. 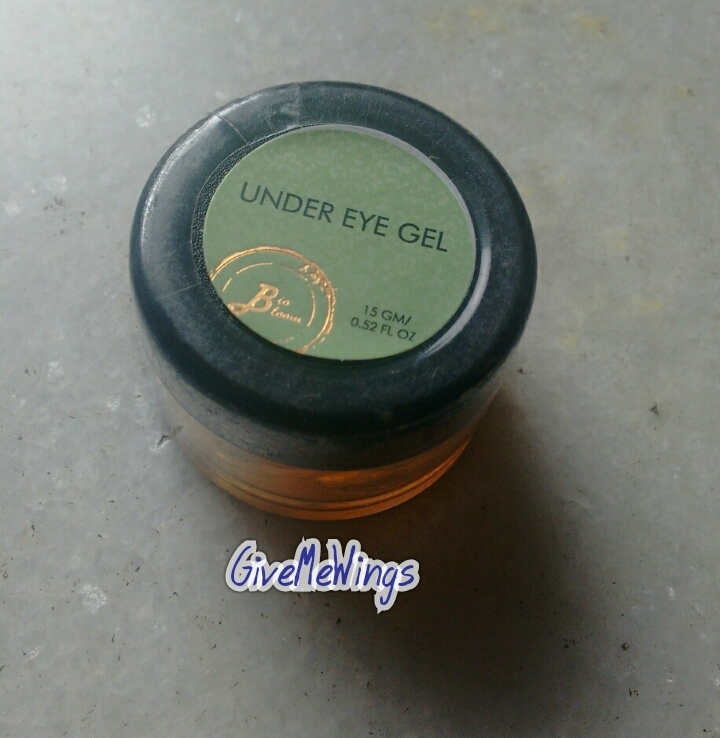 Its priced at 1,450.00 INR for 50g product. Take approximately 1 tsp of the powder in cupped hand. Add few drops of water to make a paste. Apply to face and massage gently into the skin.Rinse thoroughly. -Mild explanation is not helpful for coarse skin types. The product is a 100% natural product. The packaging is absolutely gorgeous. It’s very easy to use and just a small quantity of product does the job. The face wash is enriched with vitamin C which is great for your skin. Vitamin C provides glow to your skin. The scrub is very gentle on the skin and has mild exfoliators. Therefore it’s great of sensitive skin and daily usage. I have a lot of black and white eads on my nose and chin therefore mild exfoliation doesn’t work that well for me. Although the product is nice I would probably not buy it again because this extremely expensive product does nothing for my skin. Hope you find my review helpful, if so please follow my blog and don’t forget to leave a comment. I’ll see you soon with another exciting post. I just received July, 2016 GloBox in my mail today and here Iam with its review. By the time I had posted June GloBox review it was almost the end of the month, therefore this time I didn’t want to cause any delay. 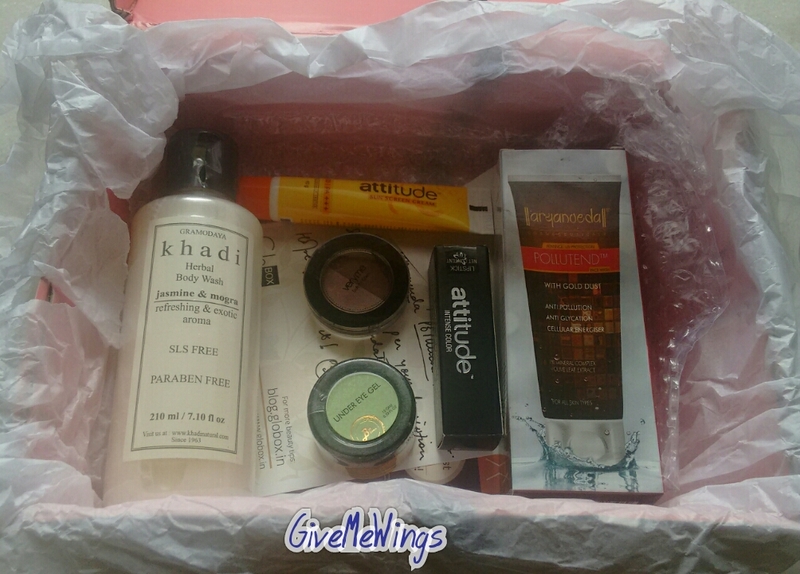 Like the june box this month’s box also contains a handwritten note from their beauty expert explaining why she chose those particular products for you. I have to say I’m impressed by how closely the beauty expert reads the beauty profile. 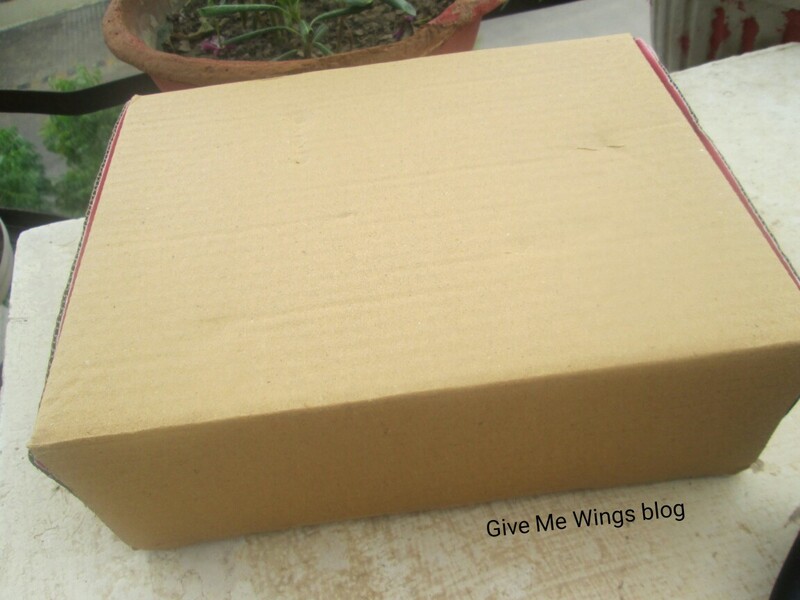 All the products that I received are in accordance to my skin type and needs. The box continues to send only full size products which is a thumbs up. 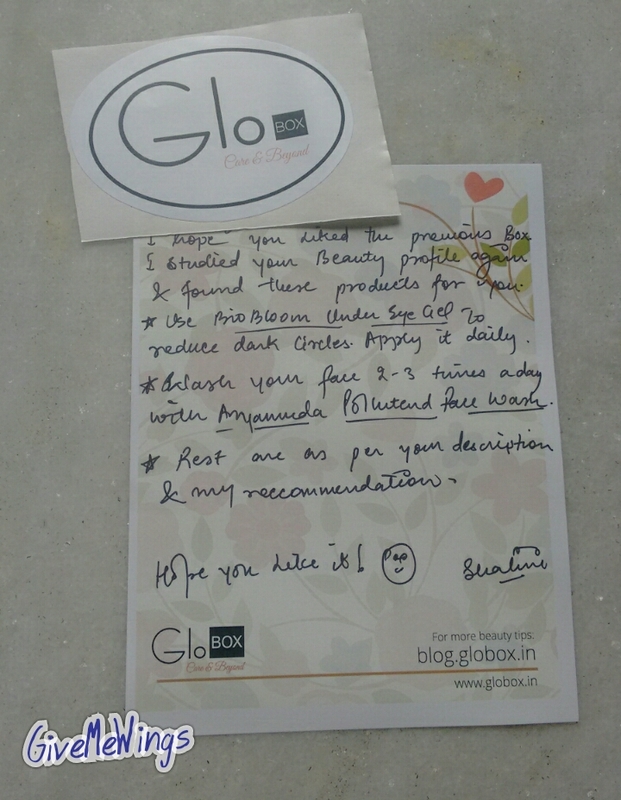 GloBox also introduced me to some new brands like Aryanveda and Bio Bloom that I had never heard of or tried. 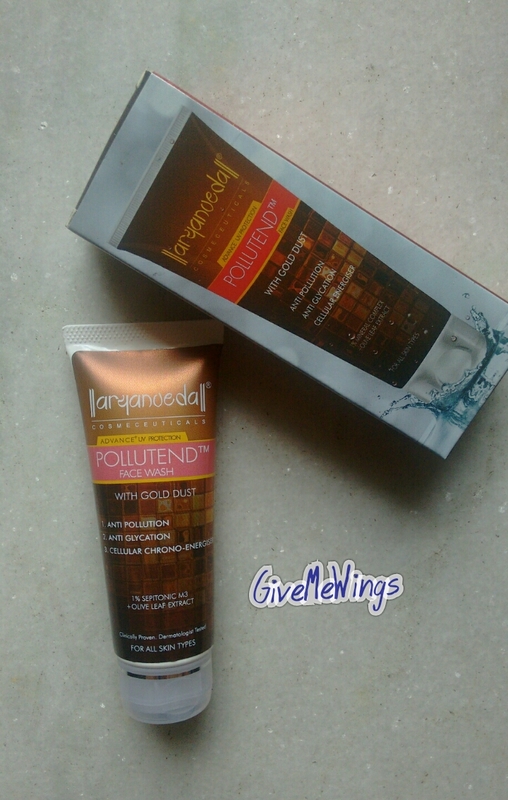 I have been loving Aryanveda products ever since I tried them. They smell amazing and are extremely good on my skin. I loved my July,2016 GloBox and now I can hardly wait for the August one!! Hope you found my review helpful. If so , don’t forget to follow my blog and leave a comment telling me about your favourite beauty subscription service. 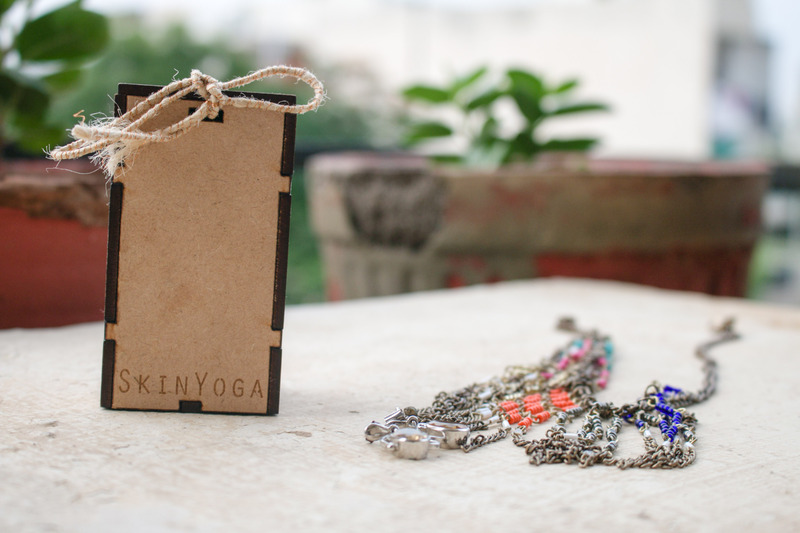 Giving Back Some Love – Giveaway! Thank you for all the love and support I have received so far!! It feels amazing to be able to share everything you really really like with so many people out there!! I’m hosting a small giveaway on my Instagram to give back the love I’ve received from all of you!! Iam giving away 2 of my favourite makeup products to one of you gorgeous souls. 2) Repost/Regram the post and tag me and your friends in it!! 3) Tag 5 friends under the post and on the Repost. 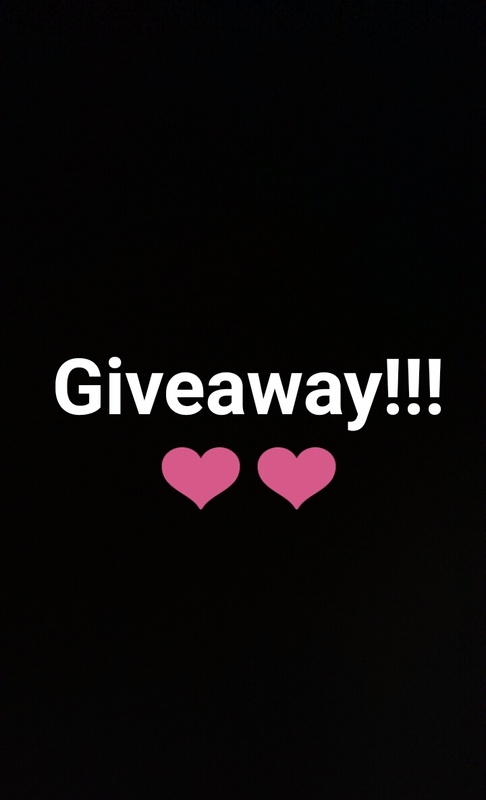 Giveaway is open to Indian residents only!! So, what are you waiting go get reposting!! P.s- this giveaway is in no way sponsored by the above mentioned brands!! 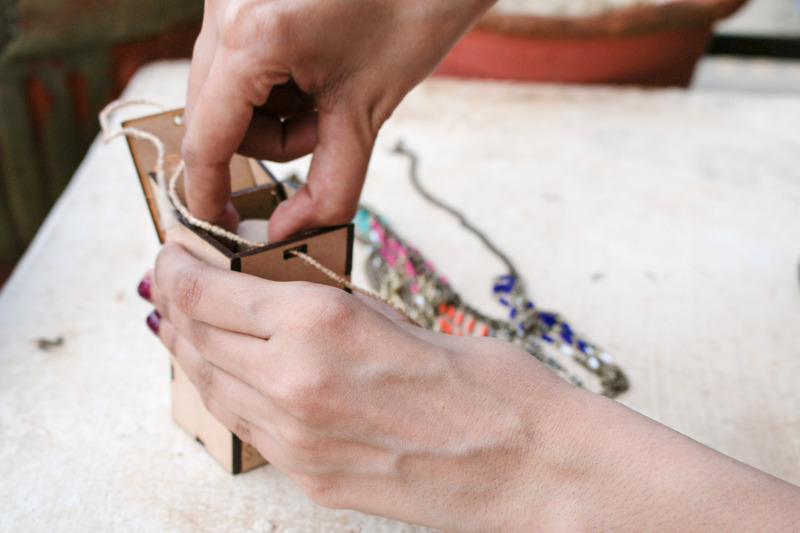 Glo box is a recently launched subscription box in India. I love subscription boxes so I was happy to redeem the launch offer and get a discount on my subscription box. 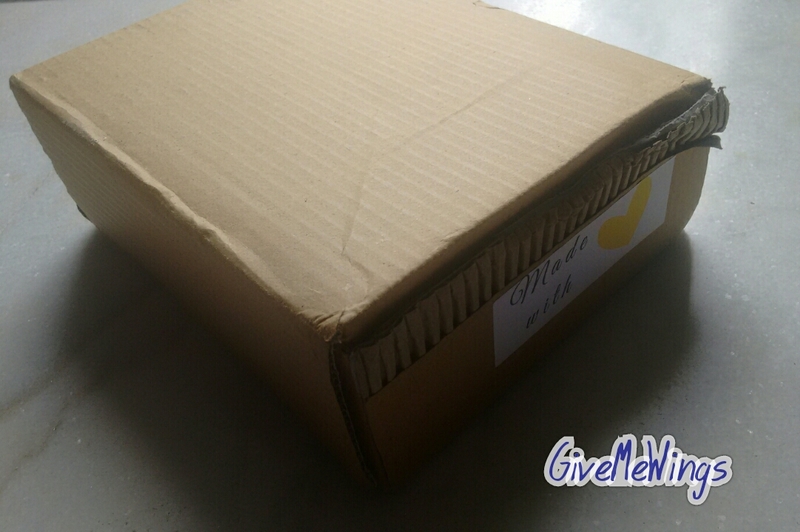 I received my box in second week if June (within one week of placing order). They give all full size products that are herbal. A hand written note from CEO and style expert probably because it was the launch month. 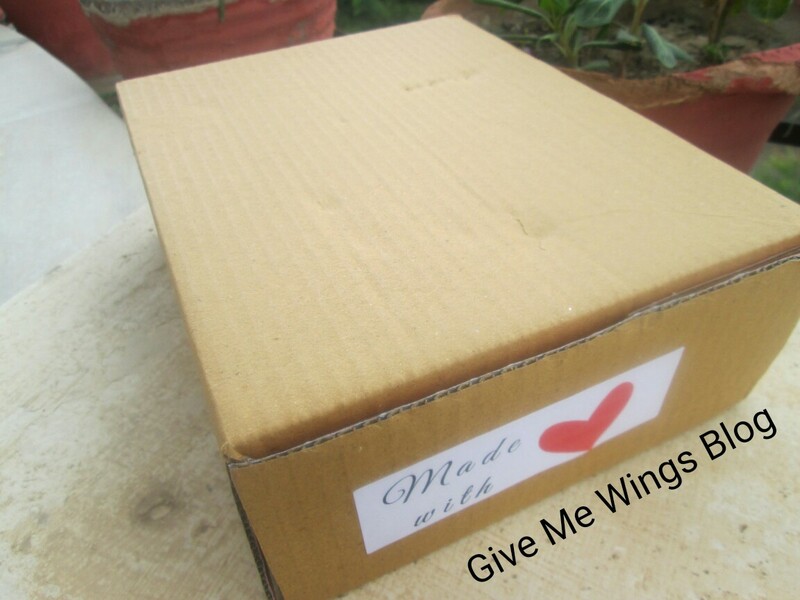 The price range is in the range of other subscription boxes available in India. 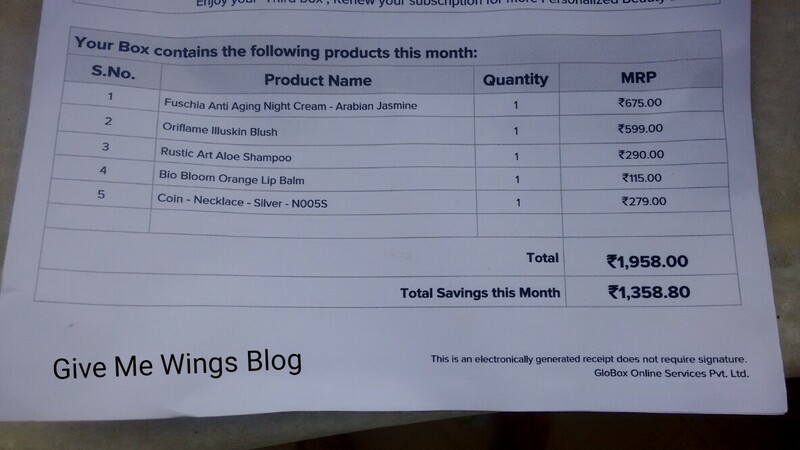 Here is a quick look of what I got in my June, 2016 GloBox. GLOBOX Is An Online Subscription Service For Expert Selected Beauty Products. Take The Hassle Out Of Choosing Between Brands And Beauty Products. With A GLOBOX Subscription, You’ll Receive The Best Skin Care, Hair Care And Makeup Products That Are Carefully Selected By Our Beauty Experts To Suit Your Beauty Profile Delivered To Your Door Each Month.And You Never Know, You Could Discover Some New Beauty Essentials! 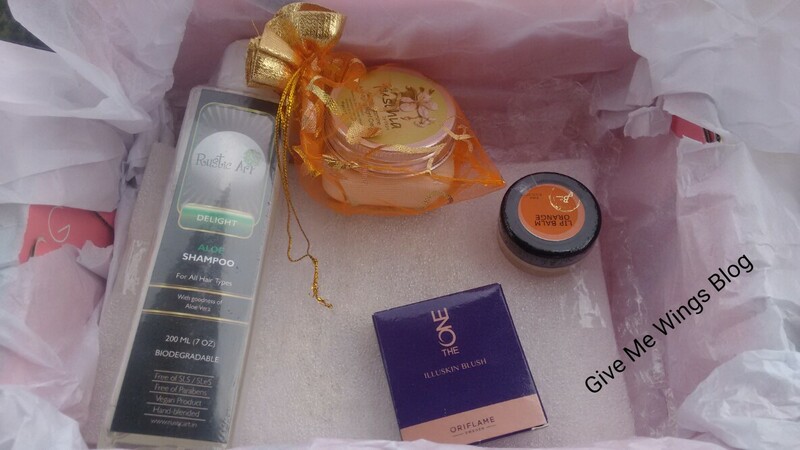 A GLOBOX Also Makes An Easy And Thoughtful Gift For Any Beauty Lover. You Can Now Breathe Easy When You Buy Cosmetics. The box is a plain brown cardboard box from the outside but from the inside it is baby pink in color and has GloBox printed all over it in white. The products are carefully wrapped in bubble wrap for protection. They send in cute little hand written notes from the CEO and the beauty expert specifying the details about the products in your box. I am really impressed by GloBox. The fact that they only provide Full Size products in the box is a great feature. Other subscription boxes contain 2 full size and 2 sample size products and I find that irritating as the sample size products don’t even last for a week. They ask you to fill a beauty profile form at the beginning of the subscription and the beauty expert chooses products for you according to the beauty profile. 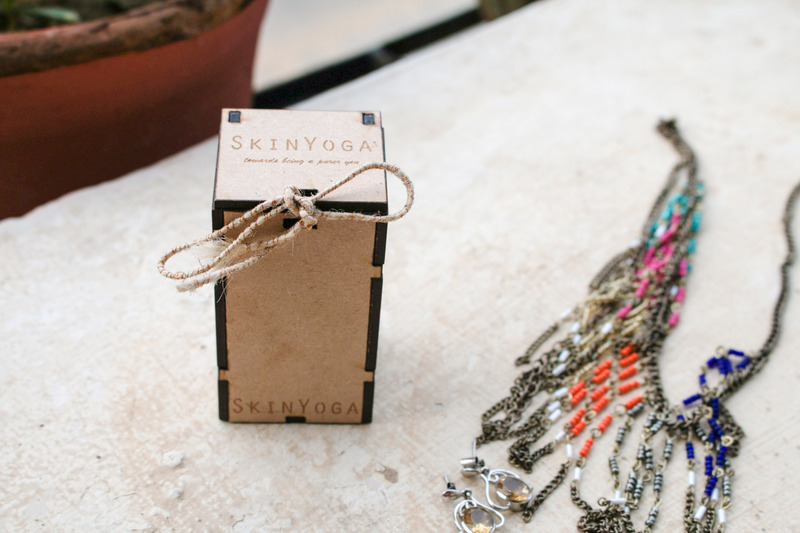 Other subscription boxes just tend to ignore your beauty profile. The hand written note from the beauty expert specifies why they chose a particular product for you and it also contains instructions on how to use it. You can jump on and grab interesting introductory discounts right now. I can’t wait to unbox the July box. I truly believe this is an amazing gift to myself which I will get to unwrap every month. If you found this post helpful so let me know in the comments. Don’t forget to follow my blog for upcoming interesting stuff. See ya soon with another post till then, stay happy and stylish.